If you’re anything like me, then you most likely have a “House Party” protocol that instantly summons a horde of remote-AI-piloted Iron Man armours to your side, comprised of suits that are perfect for any occasion. You’re most likely also highly delusional, and wondering why your cardboard armour doesn’t hold in the rainy weather if you;re having such thoughts, but at least you aren’t alone. 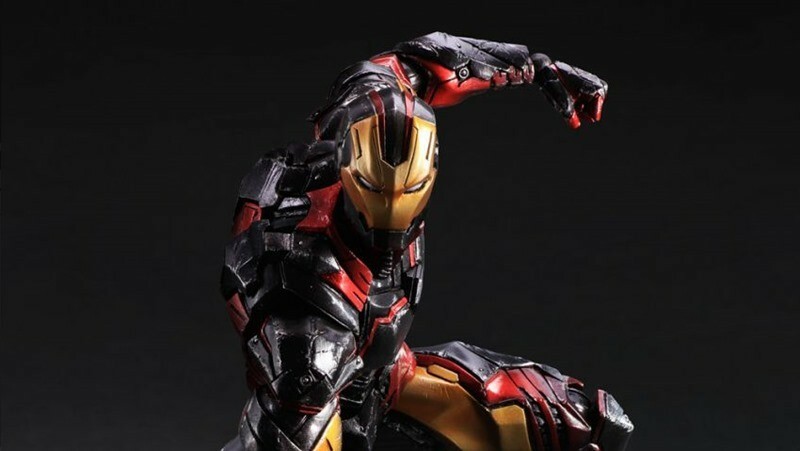 Iron Man is a character that is made to sell action figures. And this latest variant has me sold, and then some. Square Enix has a new version of ol’ Shellhead on the way in their Play Arts Kai series. Boasting his Marvel Now colours with some red highlights, this figure will have all the usual articulation, plus palm repulsor rays, boot jet emissions, micro-missiles projecting from the thighs, back flaps and expandable air brakes on the legs. He’s also about 27cm tall, and has iron thighs of,er, iron. I dig the Play Arts Kai series of figures. They’re less focused in realism, and ooze pure style. They’re also about half the price at least of the far more expensive, high quality Sideshow Collectibles stuff that is out there, with this figure having a RRP of around $85. So yes, I want this figure already. It shall be mine, oh yes. It shall be mine.